Ovation has announced plans to reissue Glen Campbell's electro-acoustic signature models. Working with the Campbell family, the company has hand-crafted a recreation of Campbell's iconic 1771 guitar, with a AA solid Sitka Spruce top, five-piece mahogany/maple neck with ebony fingerboard and walnut bridge, and a centre soundhole design with inlaid maple leaf rosette. 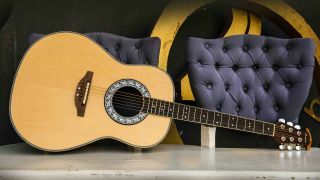 Elsewhere, the guitar features a Vintage Style Lyrachord body with shallow bowl for a strong midrange and bright high-end, while the guitar's fretboard features a mother-of-pearl Glen Campbell signature. Finally, '70s vintage-style FET preamp electronics recreate the sound of Glenn's original six-string. 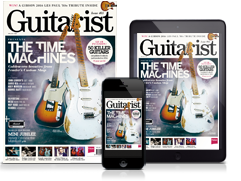 The Glen Campbell Signature model will be available in Natural or Sunburst Nitrocellulose lacquer, and mid-priced models are also set to be announced in cutaway and non-cutaway formats. See Ovation for more info.